Rotten Tomatoes is a website which was designed and devoted to reviewing films and news. Coverage areas of Rotten Tomatoes now include TV content as well. Rotten tomatoes has numbers of videos on its website which include both old and recently uploaded movies. Accessing this site, you will always want to download Rotten Tomatoes videos to be able to play offline at your own convenient time. It is possible, easy and can be done free. Just take your time and proceed to the next stage where you will learn how to download movies from Rotten Tomatoes for free. iTube Studio is a downloader tool we use here to download RottenTomatoes videos. 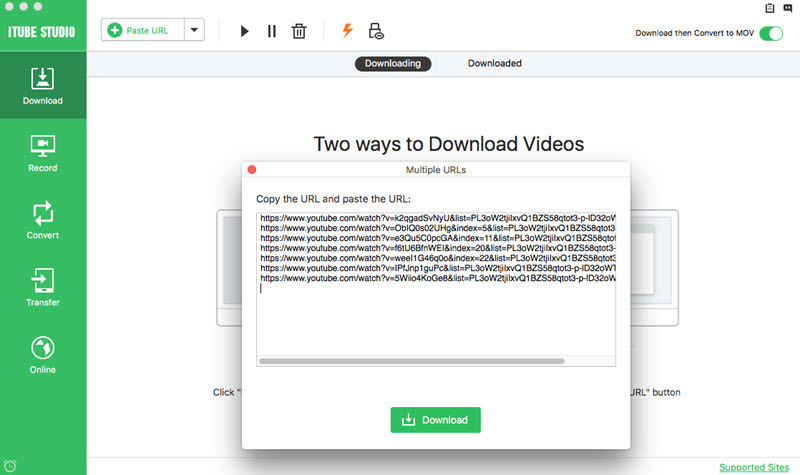 It can be used to download videos from several social video sites like YouTube, Facebook, Vevo, Vimeo, Rotten Tomatoes and 10,000+ sites in a single click. This amazing software has multi-task features which allow you to add new videos to download queue. Videos can be converted into desired format or devices like iPhone, Android, PSP. Install iTube Studio application on your Mac computer and run the program to gain access to the interface. 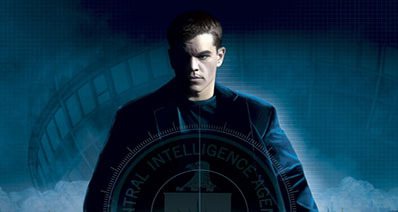 Go to Rotten Tomatoes website at www.rottentomatoes.com. Find your favourite Rotten Tomatoes video and play it. Then you can download RottenTomatoes video using the "Download" extension on the video window. You can as well download via Video URL. 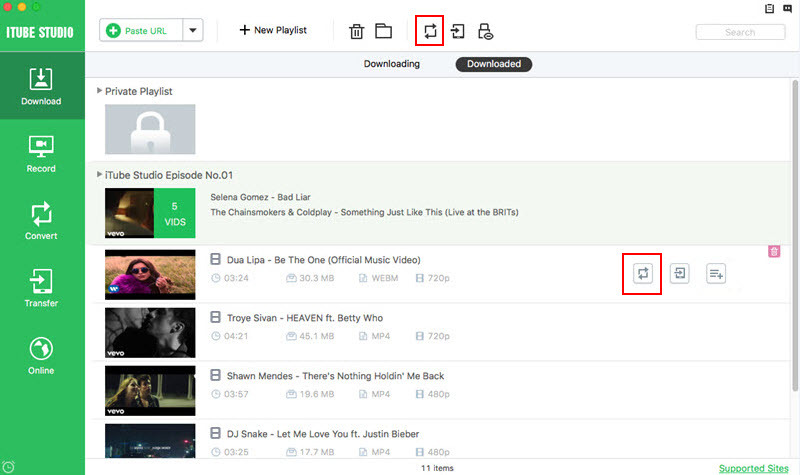 Copy the URL of the videos and go back to the program and click the "Paste URL" button to start downloading the videos. 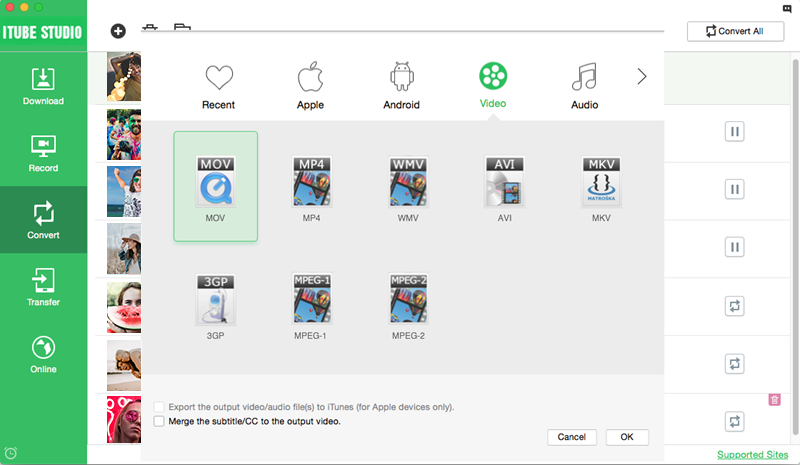 These steps enable you to be able to transfer the downloaded videos to your portable devices, such as iPad, iPod, iPhone and Android supported format and more. 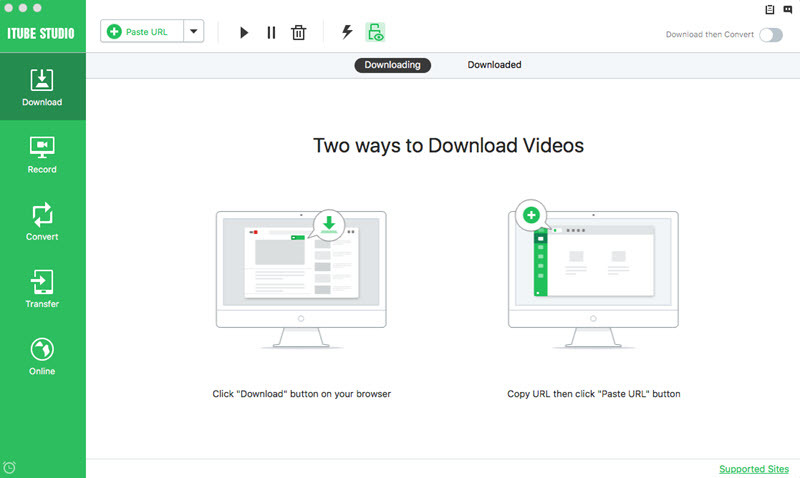 Select the video to be converted in the "Downloaded" and click the "Add to Convert List" button to put the video to "Convert" menu for conversion.